As many who profess Christ claim it is fine to celebrate Halloween, they seem to overlook many scriptures and historical facts. What is Halloween? What do Druids and saints have to do with it? Does the Bible endorse Halloween? When did people start to observe it? Should Christians celebrate it? It seems like more reasons are given by some Protestants and Catholics each year to observe it. In this video, Dr. Thiel gives 17 reasons that have been given to celebrate Halloween and debunks each of them from the Bible. Three reasons he debunks have been promoted by the actor Kirk Cameron–with others from pastors and religious writers. He also debunks what could be called an 18th reason from a Catholic source–plus cites Catholic sources (including the Vatican) opposed to its observance. Here is a link to our sermon: Debunking 17 reasons to celebrate Halloween. The Falling Away: The Bible and WCG Teachings Who is 2 Thessalonians 2:3 referring to? Are there multiple falling aways? Here is a related link in Spanish/español: La Apostasía: Enseñanzas de la Biblia y de la WCG. There are also two YouTube videos on the subject that you can watch The Falling Away Part 1: From the Bible and Church History and The Falling Away Part 2: Positions Presented by Others. This entry was posted on Tuesday, October 30th, 2018 at 12:01 am	and is filed under Doctrine. Are There 7 Reasons for Christians to Celebrate Halloween? What Does the Bible Really Teach? Sermon: Halloween: Are there 7 reasons for Christians to celebrate it? What about the Bible? Are there seven biblical reasons to celebrate Halloween? Halloween: Are there 7 reasons for Christians to celebrate it? What about the Bible? 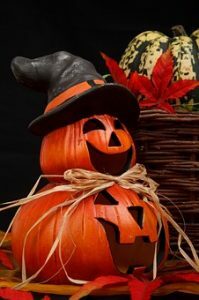 BibleNewsProphecy: International ‘Halloween’: Should Christians observe Halloween?